Polls opened Thursday in the first phase of India’s general elections, seen as a referendum on Prime Minister Narendra Modi and his Bharatiya Janata Party. Voters in 18 Indian states and two Union Territories are casting ballots Thursday, the first day of a seven-phase election staggered over six weeks in the country of 1.3 billion people. The election is the world’s largest democratic exercise. Modi supporters say the tea seller’s son from Gujarat state has improved the nation’s standing. But critics say his party’s Hindu nationalism has aggravated religious tensions in India. 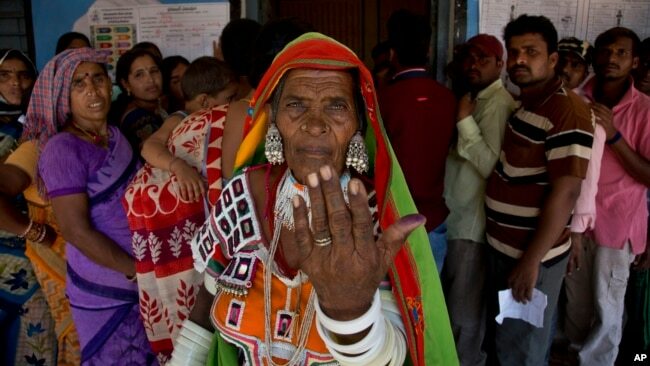 About 900 million people are eligible to cast ballots in about a million polling stations across India. They will decide 543 seats in India’s lower house of Parliament. Voting concludes May 19 and counting is scheduled for May 23.